লাতিন2, ইতালীয়, ফরাসি এবং (জার্মান). ৩ Suffrage limited to the College of Cardinals (see Government section below). 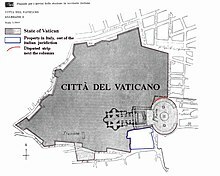 ৪ Prior to 2002, the Vatican lira (on par with the Italian lira).